Cape Canaveral, Florida. July 14, 2014 – Six Orbcomm telecommunications satellites, built by Sierra Nevada Corporation Space Systems, were successfully deployed in orbit this morning. A SpaceX Falcon 9 rocket lifted off from Cape Canaveral Air Force Station, Florida at 11:15 AM ET, lofting a constellation of six ORBCOMM OG2 satellites to orbit. 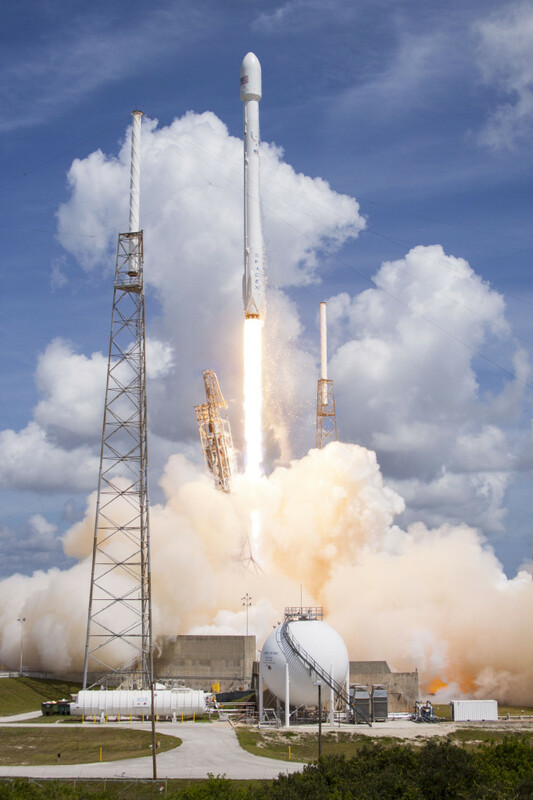 This launch was the first in a series of ORBCOMM’s OG2 machine-to-machine communications satellites launching on SpaceX’s Falcon 9 vehicle. Compared with ORBCOMM’s current constellation, the next generation OG2 satellites have advanced communications technologies, and are significantly larger, more capable, and more efficient. The satellites were built by Sierra Nevada Corporation and weigh approximately 170 kg each. The full series of OG2 satellites will be launched to low-Earth orbit. OG2 satellite shown stowed on the ESPA Grande deployment system at SNC’s Louisville facility. Image Source: Sierra Nevada Corp.
ORBCOMM’s OG2 satellites will provide existing customers with significant enhancements, such as faster message delivery, larger message sizes and better coverage at higher latitudes, while dramatically increasing network capacity. The total OG2 constellation is comprised of 17 satellites. 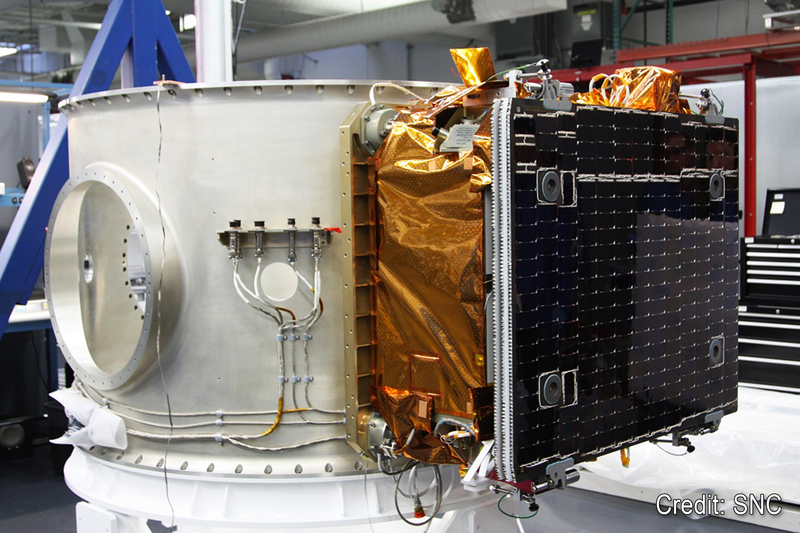 The remaining 11 satellites in the constellation are in final integration at SNC’s facility in Louisville, Colorado, and are on track to support the next launch (OG2 Mission 2) scheduled in the fourth quarter of 2014. In addition to developing the satellite buses, SNC has directed the development and integration of the advanced communication payload and is assisting in the key roles of launch planning and launch mission operations for the OG2 constellation, including developing a Satellite Operations Center that will support essential communications with the OG2 satellites prior to launch and during early on-orbit checkout and operations. SNC is currently housing the first fully functional small satellite production line in the U.S.